Karl Slym takes the helm as president and managing director of General Motor Corp.’s India unit on Monday with a stiff task: capturing a 10% market share by 2010 even as every auto maker in the world is headed here to add to the 17 that already do brisk business. 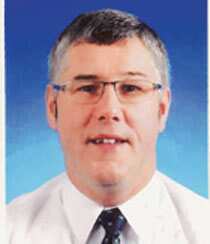 Slym takes over from Rajeev Chaba who leaves for GM’s Egyptian unit after two years at the helm. Slym will be the sixth chief for GM’s local unit since it was founded 11 years ago. Since he moved to GM in 1997, the Stanford-educated Slym has held manufacturing and research and development positions. He was the vice-president, quality, of GM Asia-Pacific and also in the research unit GM-Daewoo Automotive and Technology since January 2006. Slym’s “challenges will be different since lots of plans are in place now," said Ashvin Chotai, director of Asian automotive research at Global Insight, Inc., a consultant. “While for Aditya Vij and Rajeev Chaba (the past two chiefs) the biggest challenge was to find a plant, he has to make sure the small car launches" and building the new factory goes well. In India, the largest selling segment of cars is the compact car segment, though it’s also the one that is getting the most crowded. Everyone from Tata Motor Co., the largest truck maker in the country, to Bajaj Auto Ltd, the No. 2 bike maker by sales, wants a share of this market and has made plans. Existing Japanese car makers, such as Honda Motor Co. and Toyota Motor Co., who compete fiercely and successfully with GM on its home turf in North America, are also lining up compact cars for India. 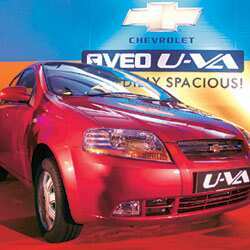 GM sells on an average of around 2,500 compact cars a month, which includes the newly launched Spark and the Aveo U-VA hatchback. This compares with around 20,000 units per month sales of the Alto, the largest selling brand in India, owned by market leader Maruti Suzuki India Ltd.
GM, “for the first time in their history in India, they look like they have a winning combination of products," says Rajat Dhawan, partner with McKinsey & Co., who consults on the automotive sector. But GM and Slym will “still have to prove that the Spark and Aveo can be volume winners for them." GM officials, including Slym and Chaba, didn’t respond to emails seeking comment. Despite an expanding economy that may spur sales of passenger vehicles in India to 2.2 million units a year by 2010, from 1.4 million in fiscal 2007, according to the Society of Indian Automobile Manufacturers, there are emerging problems for the industry on the horizon. Interest rates have jumped so far so fast that even established players such as Maruti are feeling the pinch and offering special incentives and discounts to keep sales from slumping. “Product is just one element," said Global’s Chotai. “You need the right cost structure and be competitive to compete in this league. Year-on-year, companies such as Maruti and Tata try for a 6-10% cost improvement through innovation and efficiencies. This is a typical challenge for most companies in India."